Hey Crew, ive ordered new 2018 Ezzy Lion 9.5m. Anyone got an pics of the NEW seasons sails????? Cant find ANY details. Is it same as 2016/17?? Ordered without any info on the sail? Brave man!! I BELIEVE .THEY HAVE 2 CAMS . None in Oz. Waiting on new season delivery, October. Heard '18 may be different to 16/17. New design? Colours? Cant find any Ezzy 18 info? Northern hemisphere early release info ? Its a Lion so im expecting Plenty of lowend grunt with an awesome windrange. Thanks RichardG . Certainly looks different... Was kinda liking the '17 lime green as it looked similar to '15 Cheetah i have. But In reality im, Ability first, looks second. So bring '18 Lion on! I did notice you can get a 7.0 now ,which will please some people . handy size if your 95 kgs ...and everyone is on a 6.5 .in 15-18 .its my go to size .7.0. I read somewhere they were looking at an 8.0m2 Lion as well but appears it may now be for 2019. Would love to see a video in action. 7.0 is a great size here on Aruba as well. 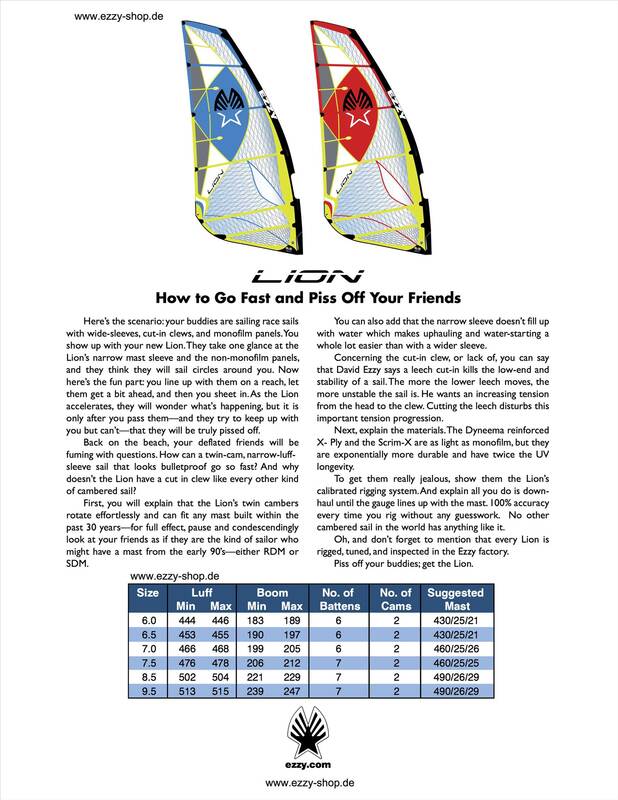 Hi, footage of 9.5 lion in action on seabreeze Gear Reviews EZZY LION 9.5M. Grich62 post. In Act shone .....green 7.0 ...black 8.5 ..
Sweet video....didn't look that windy in the 7m part? Larger board earlier planing? what range did you have the 8.5 lion going in? The 7m can hndle a lot of wind...for me 8.5 is getting too big (bigger mst etc) and 8m lion would be ideal, the 8m Cheetah is super nice although couple of cams would have made it better in the really light stuff. Ive been doing some 'non Ezzy' Experimenting lately....freakin hating it! 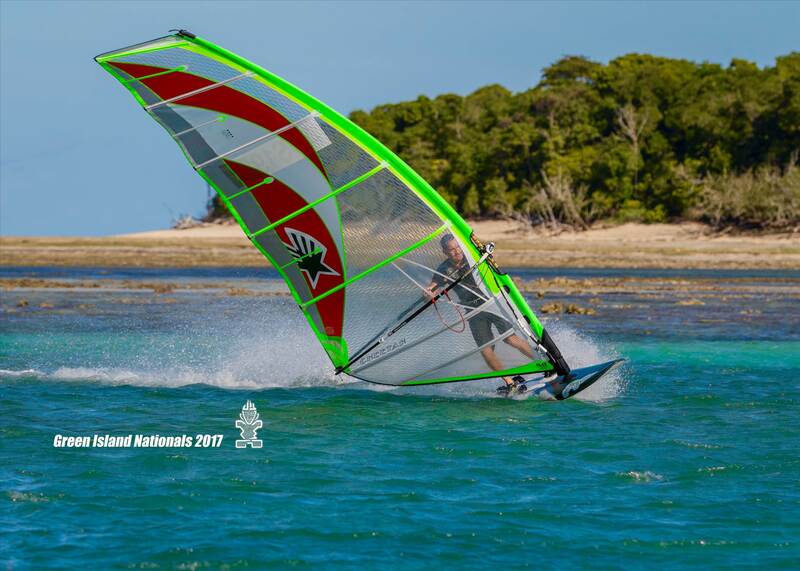 i did have a 8.0 naish sprint for many years ..but was alway under just that little big every time .did read how grunty the ezzy's where ..brought a brand new 8,5 cheetah end of 2016 .to be my biggest sail. 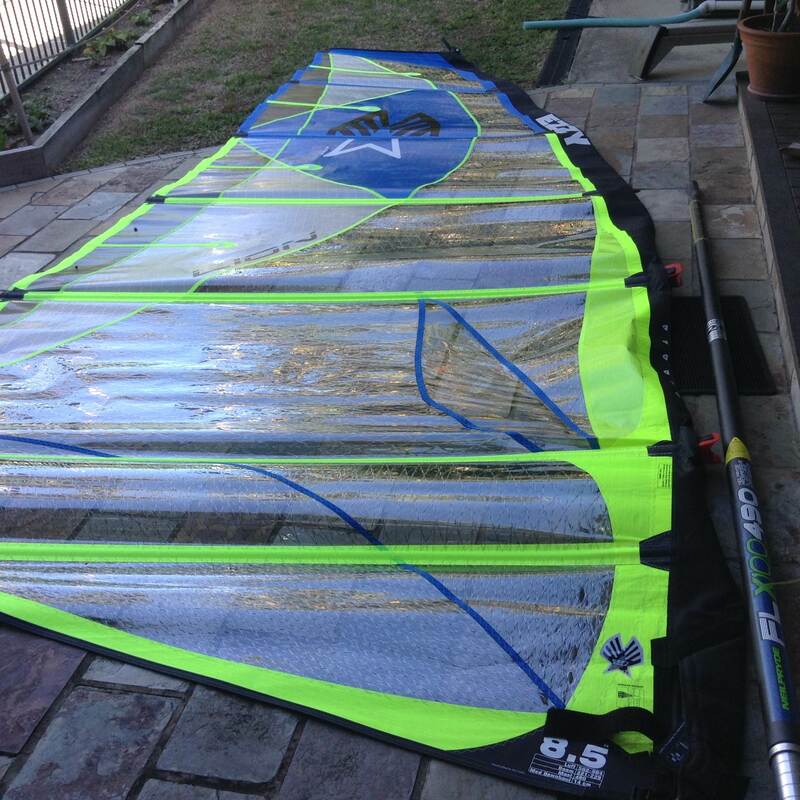 and have had a ball ..it was very light 12 -15 knots ..the Titan carries it perfect with a 44 fin .I'm amazed what the 8.5 can handle ...but then belly it up and it can gobble light wind up too.i love the huge adjustment on the ezzy's . yes ..it was light at he time the guy filmed us .outside .15-17 ...but i was on a 125 litre board ,and got away with it . Used the cheetah sale to fund some experimenting on the dark side....been interesting.. and only confirmed what I already knew...that for another story another day...the cheetah was really nice sail that held a surprising amount of wind, super easy to get it locked and loaded. there is no 8m lion is there? 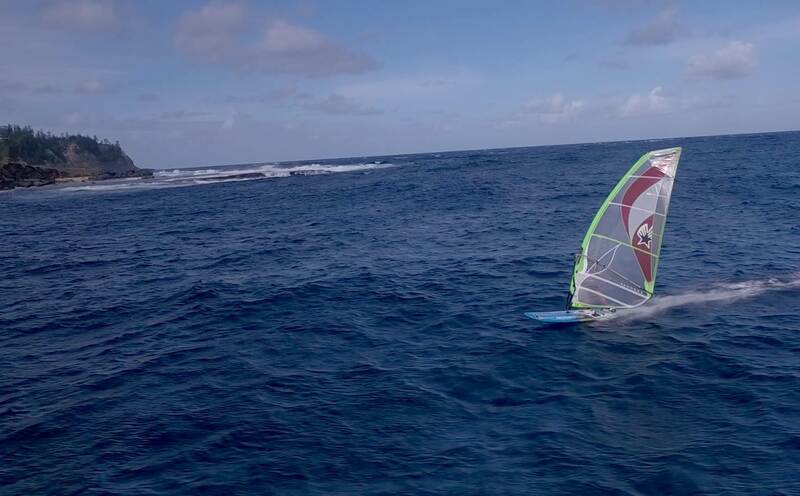 the lions are like a race sail .they have some serious speed .and can be down hauled to the max. Where's the best place to buy an 8.5 Lion at a good price? I buy mine. From surf and sail west oz.good service.fast delivery. +1 surfsailwa. So all you Ezzy crew im looking for 7m cheetah. Anyone? Thatll complete my quiver. 9.5 lion,8m cheetah n 7m cheetah. Who has got one for sale? Good luck! Cheetah's and lions would be the fastest moving items on SB , lucky if they last a day or two on the market. Tardy , those pics are SO tempting!!! Sail gotta be Lime Green or no deal. Black for sale new , WA. No deal for me. I give up, where do the Sri Lankans hide the batten tensioner on a new Ezzy? but yes down near the tack strap..what did you buy . Yeah thanks Tardy, found it in the tack, actually tells you that on the rigging instructions, duh. Ah yeah, wasn't going to tension them, was just locating the tensioner, good to know that they should be good to go straight out the bag. I've got a garage full of Pryde sails, never used an Ezzy, been happy with the Prydes, cambered and non-cambered. But decided to get an 8.7 NP V8, largest sail currently is a 7.7. Ordered the sail, paid my deposit and an air freight charge for a 10 day e.t.a. Two weeks passed, enquired as to arrival date and was then told none available for me, they'd all been sent to Europe and next availability would be 3 months. Pretty disappointing, NP need to get their **** together. So, I decided to see what all the fuss is about and bought a new 8.5 Lion. Haven't rigged it yet, just changed out the cams because I had bought a new NP 490 100% mast at a good price prior to ordering the V8. Dave Ezzy seems pretty adamant the mast should work with this sail. Quite a different shape to the Prydes, reminds me of an Aerotech sail I had many moons ago. Anyway, I'm keen to try it and see how it feels compared to a cambered Pryde. handy size ...I was using my 8.5 cheetah on my 115 Patrick today ...bloody flying ..
and still keep sailing ...if the wind picks up . Cheers mate. Hey what size fin do you use on your 115 with the 8.5 and what is the width of that board? when I use it on my 125 tabou rocket ,I use a 42 ...perfect combo .. I'm just loving my 115 Patrick at the mo ,great top speed in flat water ..
keep in mind the lion is a bit more powerful than the cheetah so may have more pressure . and depends how heavy you are I'm 98 kgs ...I hate being over finned ..railing up is not my scene . you must be biting at the bit to try that new sail out .